Being able to afford to be a stay at mum is tough. There’re so many ways to save money, some a scam, that it can become a complete headache. Maybe you’ve tried making a budget but it's not working or want to pay off debt, but somehow you don't seem to be getting any closer and you're at a loss as to what to do next. Then there’s the ultimate dream of working from home doing what you love, while still spending time with your family. But do you really want to invest your time and money into something you're unsure will make you money, and how do you even start? The good news is, I can help you! I believe you can flourish financially as a family, even if you’re a stay at home mum. Imagine the weight lifting off your shoulders knowing that you have successfully budgeted and that you’re moving toward your financial goals. What if you could provide your family with good food but on a budget, using all your leftovers with no waste, and provide them with everything they need – without worrying about the cost. Your dream of sitting down to work from home, doing what you love, providing for your family while still having time to spend with your family is in sight. 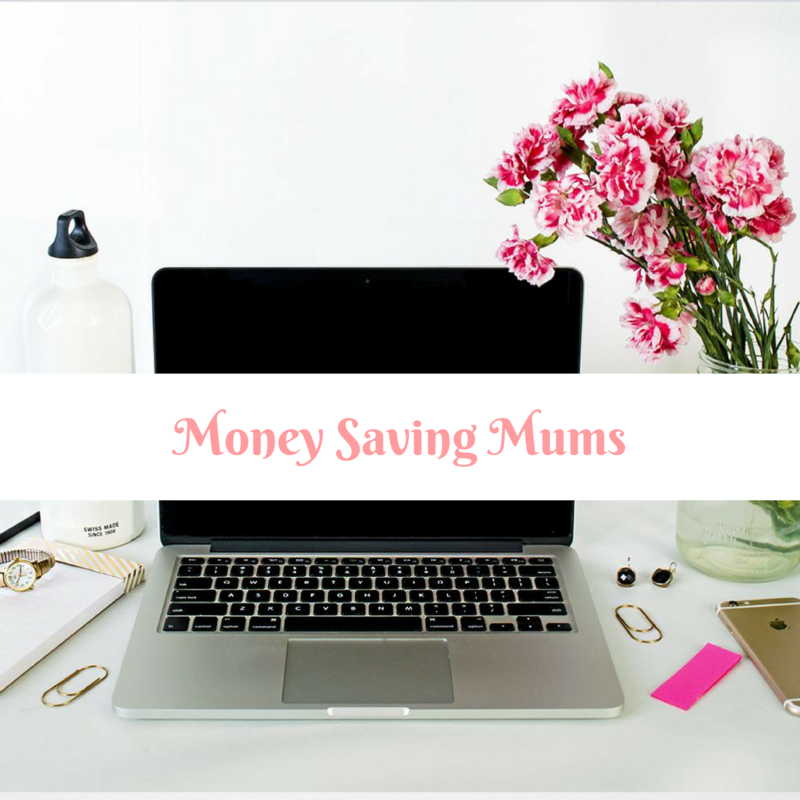 When you become a member of Money Saving Mums, you’ll get everything you need to start saving money and work successfully from home, so you can spend more time with your family. Let's keep more money in your pocket so you and your family can enjoy your time together without worrying about financial hardship or when the next bill will drop in. Come join myself and over 450 mums and learn how you can save your family more money. 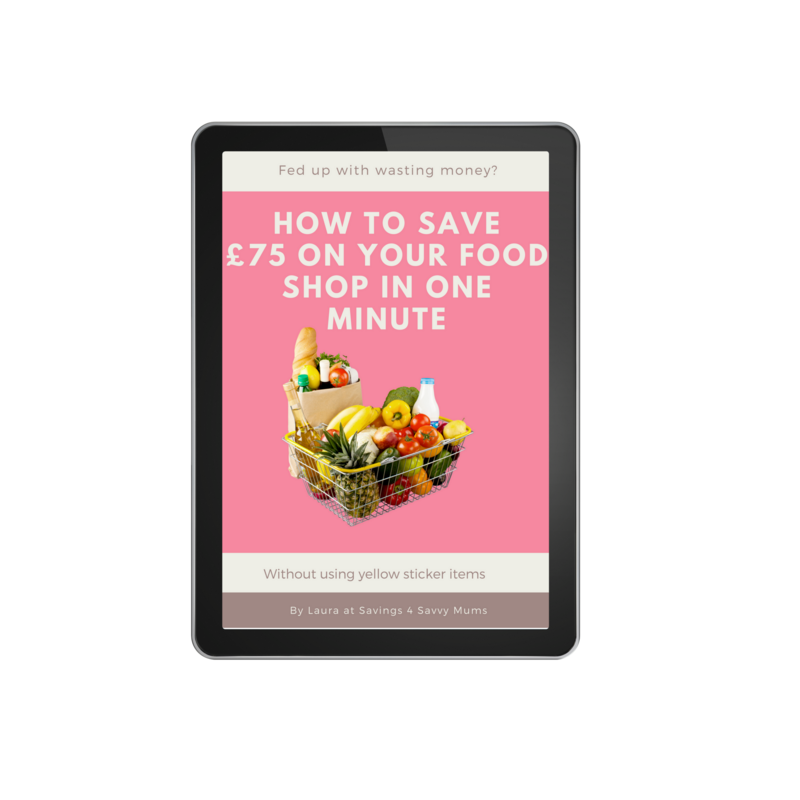 Including 5 Ingredient meal plans, shopping lists, budget planners AND budget Slimming World 7-day plans the whole family will love! 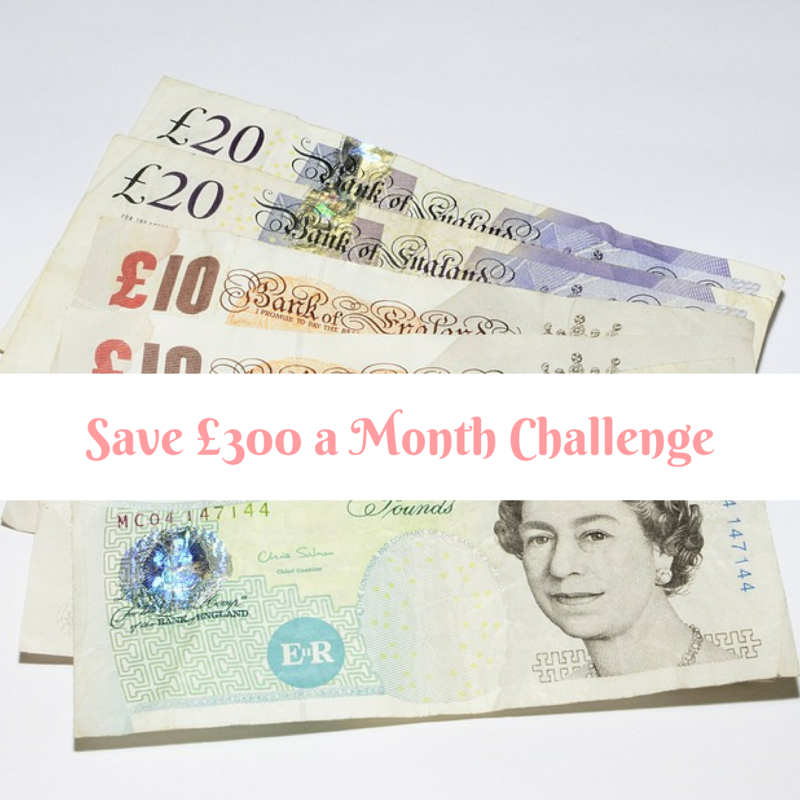 My FREE course "Save £300 in a Month Challenge" will help you get there, with simple tips and tricks you can use to keep more of your money for your family. 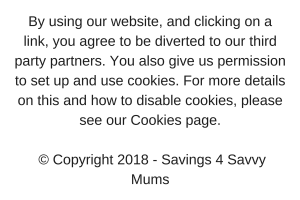 Daily prompts, food ideas, deals and a community full of mums who have the same goal as you, to save their family money day to day. After my second baby, Abigail, was born, it became clear that I couldn't go back to work due to childcare costs. Soon after though, money become very tight with us owing thousands in debt, and every attempt to budget to pay off our debt failed. I was desperate to find a way to help us but didn't know how. After months of being scared if and when my credit card would be declined at the tills, worried sleep and bills mounting up, I finally learned the right way to manage our finances. I made a few small changes that made a massive difference. It was through following those very simple steps that the impossible happened: we were credit card free! Along the way, I grew a successful home business which I love. Now, instead of fear of the letterbox, each day is full of me being there for the kids and the confidence that we, as a family can afford for me to be a stay at home mum. 1. Sign up to receive emails from me. These will be filled with all the information you need to start thriving financially as a work from home mum. 2. 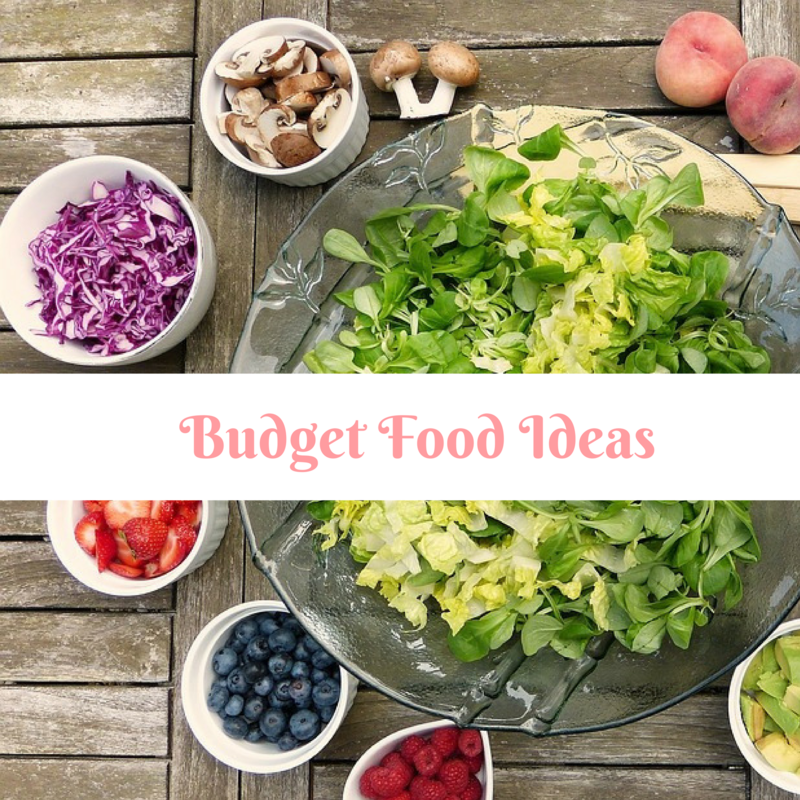 Take control of your food budget without having to buy yellow stickers. Learn more about my Food Savings Made Simple program. 3. Click on a picture below to get started. From £1 family meals to budget meal plans and Slimming World shopping lists. 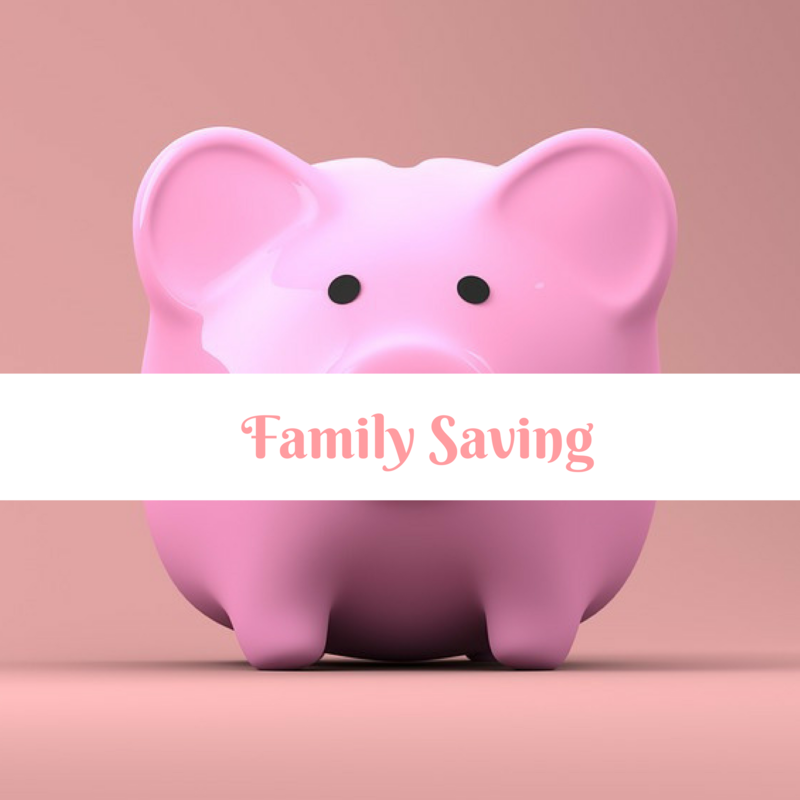 Family frugal tips, money saving challenges and deals to keep more in your pocket. Family friendly budgeting tools, debt control, couponing and downloadable printable. Do You Want To Thrive Financially As A Family? 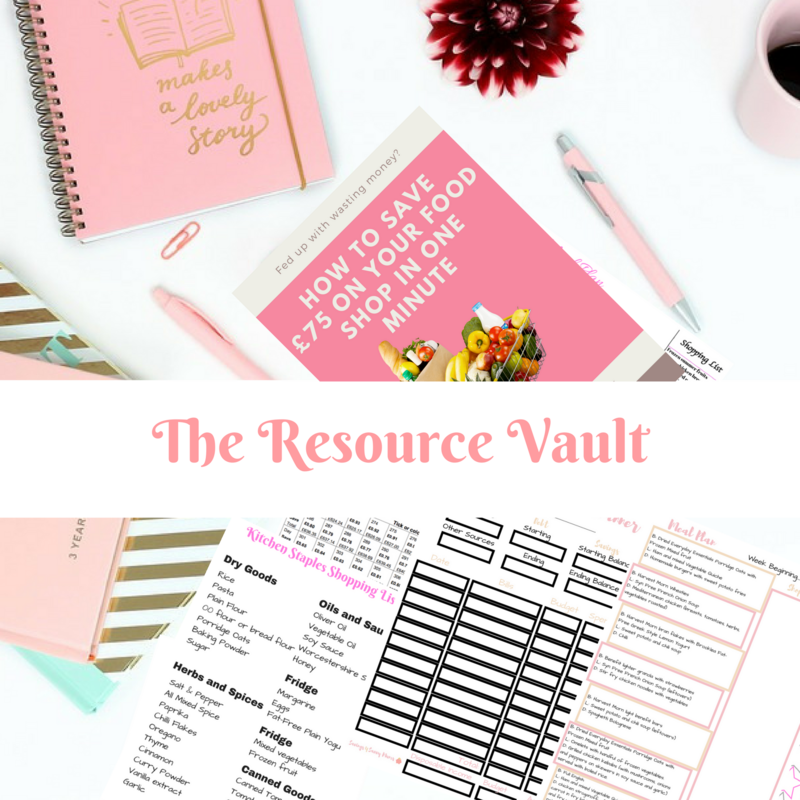 When you join Money Saving Mums, you’ll also get access to The Resource Vault, with over 15+ money saving printables, including meal plans, budget planners, shopping lists and my FREE guide, How to Save £75 on Your Food Shop in Under One Minute. Start pulling everything out and work out what’s going in and out. 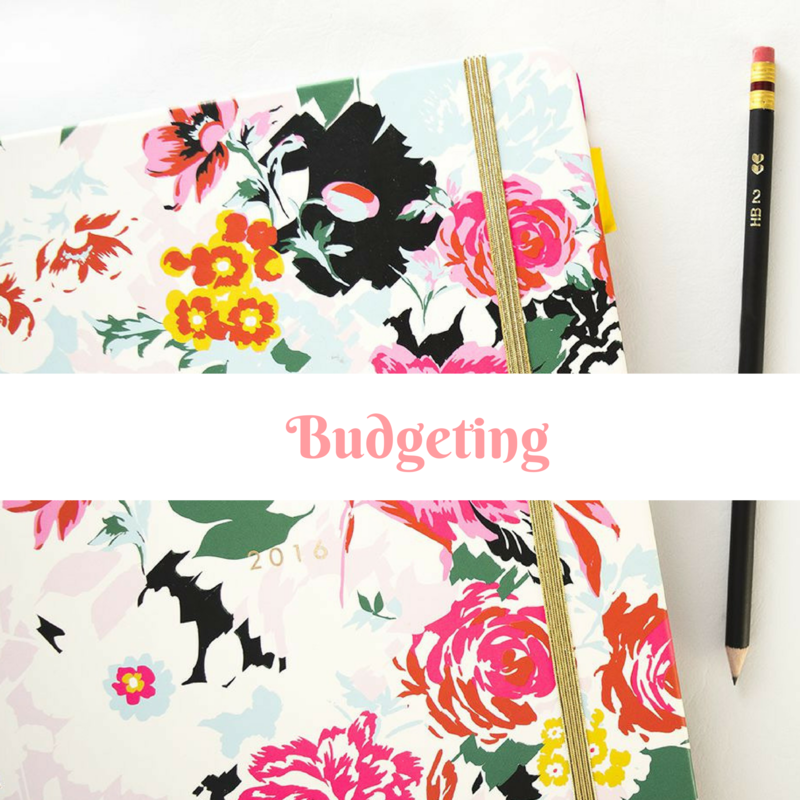 I have a FREE easy to use budget plan to help you keep track month on month. Remember to add your annual costs over each month too. Phoning round all your outgoing bill providers to see if you could get a better deal. This includes car insurance, utilities, TV packages and subscription services you can’t live without. Start to meal plan and take a shopping list with you. I have some FREE meal plans you can use, all featuring cheap family meals and shopping lists you can use if you only have £20 a week to shop. Start thinking about birthdays and Christmas now. Doesn’t matter the time of year. Who do you have to buy for? Can you give them a special IOU for when you find the best deal? Start putting a bit away every month. Whatever you can. I use the 1p a day challenge. Before I know it, I have a hefty sum to fullback on. I recommend trying to save at least three months of your monthly outgoings just in case the very worst happens. Not all this will work for everyone. Knowing what you want out of saving money will help you to find something that works for you and your family. Saving rates are currently rubbish. Always aim to pay off your biggest debt first and work your way down. Not everything here will work for you. Try it, and if it doesn’t work try something else. However much you save, from 20p to £20, to even £200, is something. Something is far better than nothing. I want to hear your stories and how I can help you. I want you to be able to save money while looking after your kids, and work when YOU want too. We are all in this together, including me. I'll do my best to respond to your emails quickly. Everyone is treated equally and I'll help if I can. I’m not special, I'm just a normal mum who enjoys saving her family money and working from home, to make a better life. Savings 4 Savvy Mums is all about helping each other reach our financial goals, whatever they may be. Hope to speak soon.